The Denver Historic Country Club neighborhood is a beautiful luxury home area bordered by Cherry Creek to the south, Downing Street to the west, 8th Avenue to the north, and University Boulevard to the east. Holding only about 380 homes it is the smallest in number of homes in all of Denver. The neighborhood can be further broken down to Country Club North (Country Club Place) and the luxurious Country Club South. The average home price for the neighborhood is about $1.7M holding homes built by some of the city’s most prestigious families. The prime feature of this neighborhood is the Denver Country Club founded in 1887. Being of prestigious and historic nature this 125 year old country club is the oldest country club west of the Mississippi. The historic beauty of this club has been rigourously maintained throughout the years. 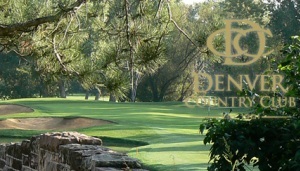 Find out more information about the Denver Country Club here! Other nearby opportunities include the Cherry Creek shopping center just a short ways to the east. Cheesman Park to the north and Washington Park to the south. Not to mention the quick jaunt up Speer Boulevard to Downtown Denver. The sprawling lots, wide tree-lined streets, and huge historic homes of many social and politically elite are a site to behold! Use the link below to view all of the wonderful homes that Denver Country Club has to offer. It truly provides some of the best Denver, CO real estate listings in the area.